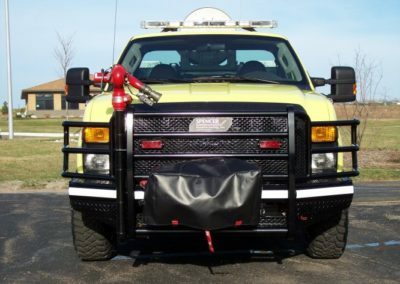 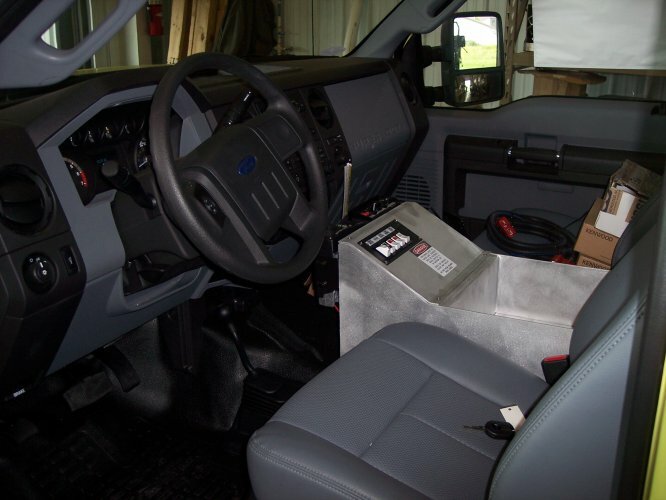 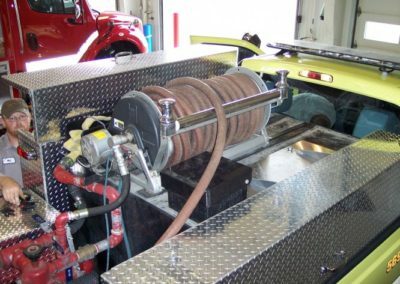 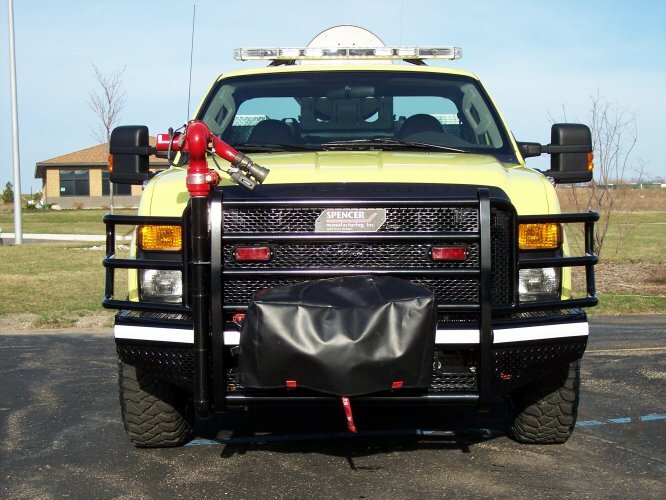 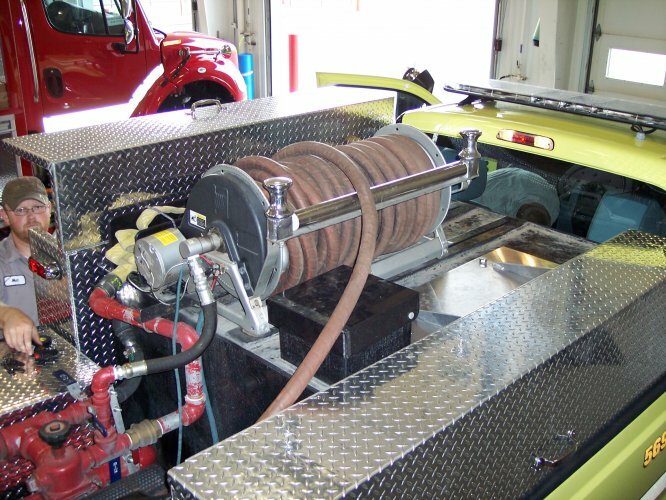 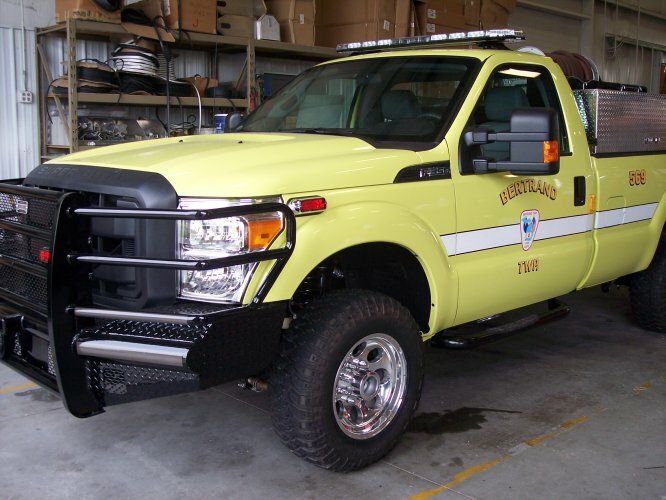 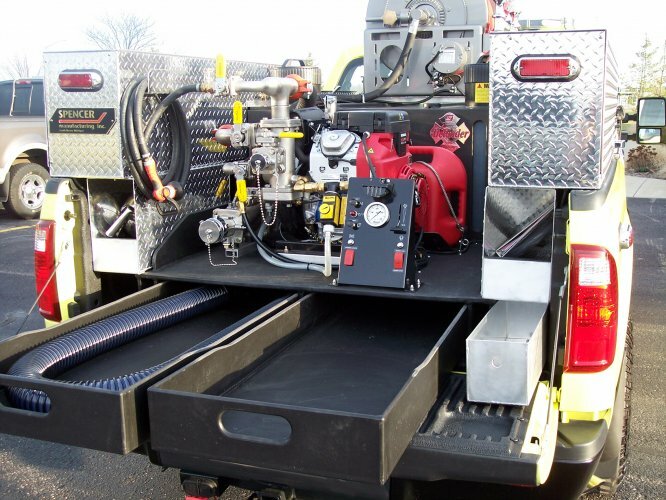 This Ford F350 4×4 grass truck is equipped with a customer supplied skid unit and custom Spencer compartments. 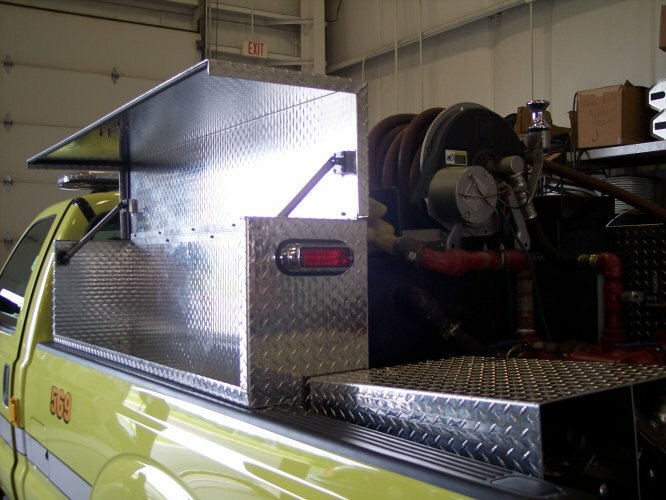 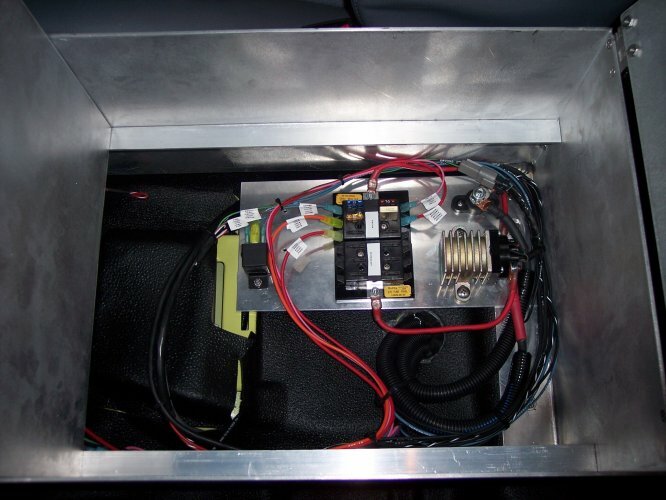 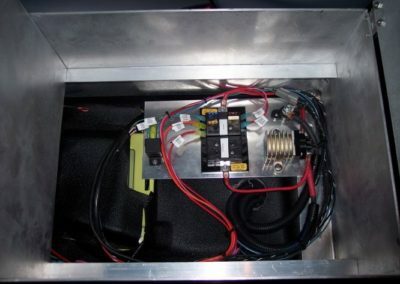 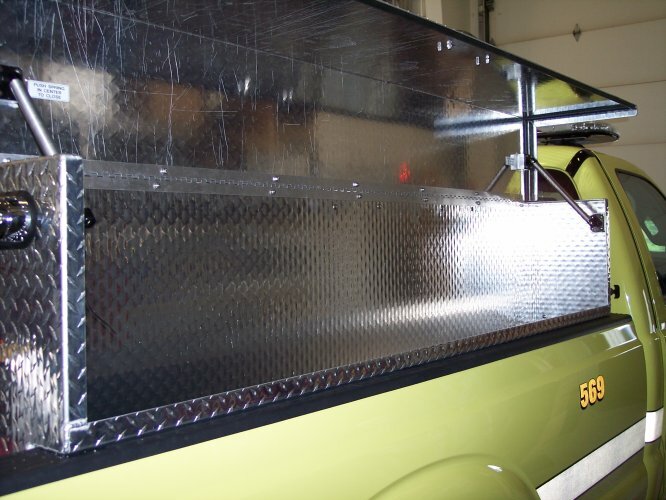 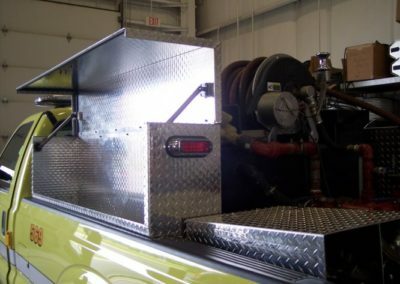 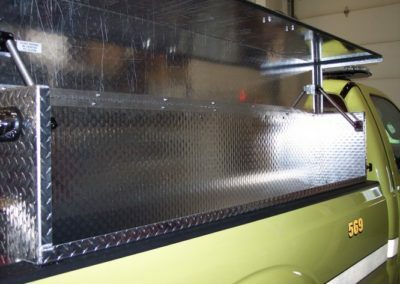 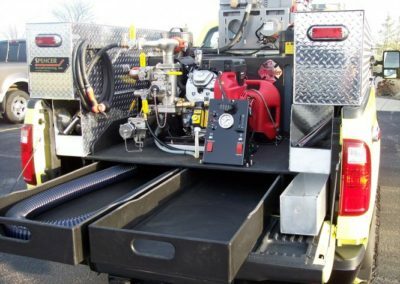 All components in bed of truck are easily removable for the trucks different duties from season to season. 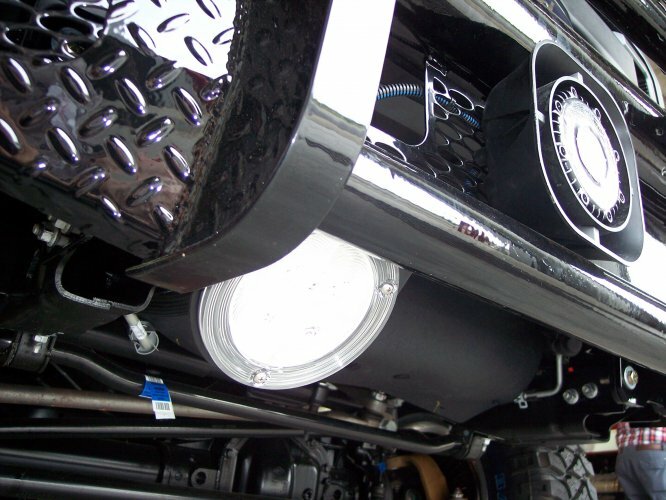 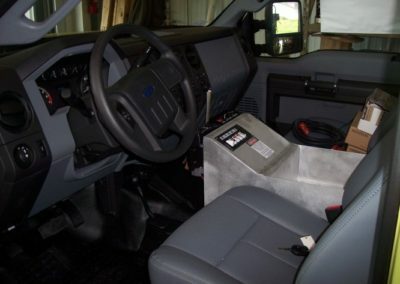 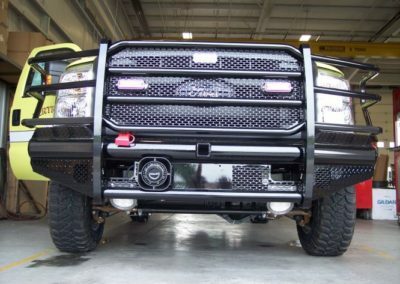 Other truck features: Whelen LED lightbar and warning light package, Winch power points, custom Spencer console, westin nurf bars, ranch hand ford bumper, mickey Thompson tires and wheels, pro-charging battery charger, and kussmaul auto eject.